Painted light bulbs will transmit light in different colors and patterns. They can do wonders for a room and create an array of different effects. 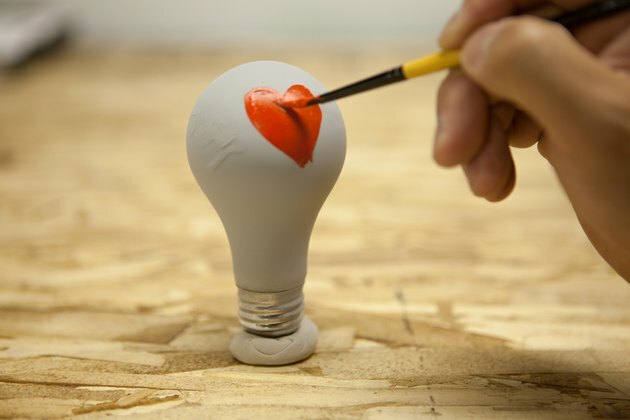 Placing paint on light bulbs is easy and inexpensive. 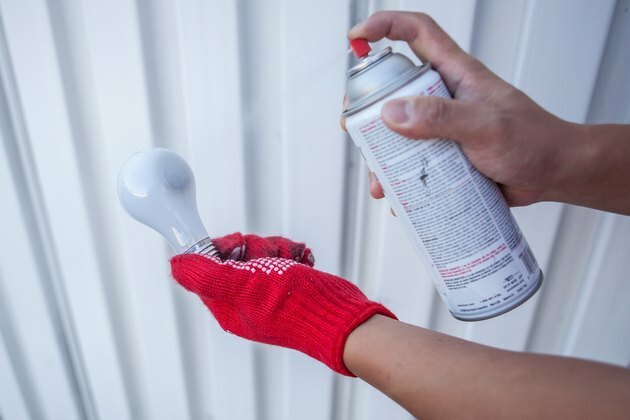 Although the method of putting paint on light bulbs is largely the same, there are variations depending on whether the bulb is burnt out or not. Screw the bulb into a light socket to make sure it still works. 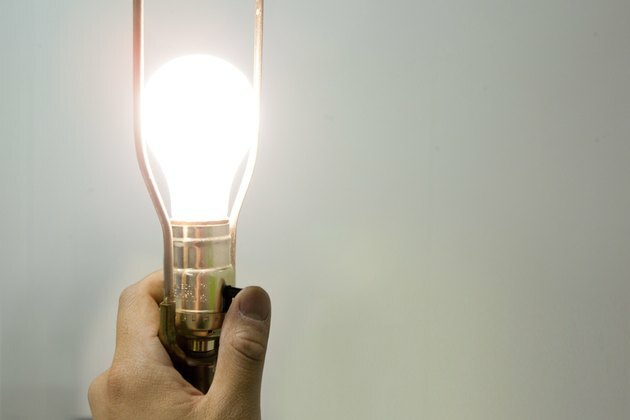 Check to see if the bulb is 40 watts or less, and is clear. Remove the bulb from the socket. Prepare the glass for painting. 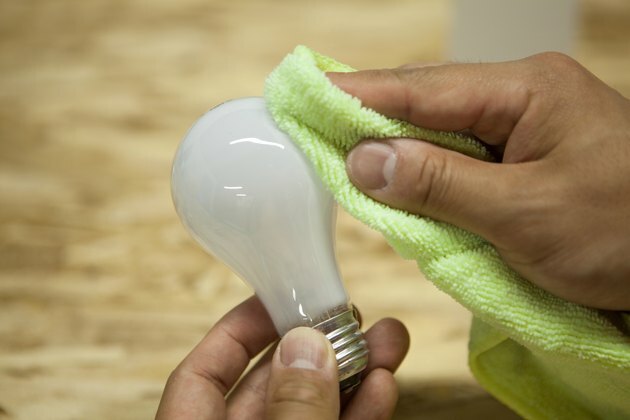 Remove any traces of dust or grease from the surface of the bulb by using a solvent such as white spirit. Place a lump of tack on a table. Tack is a putty-like adhesive. Make sure the bulb is stationary by pushing its base into the tack. 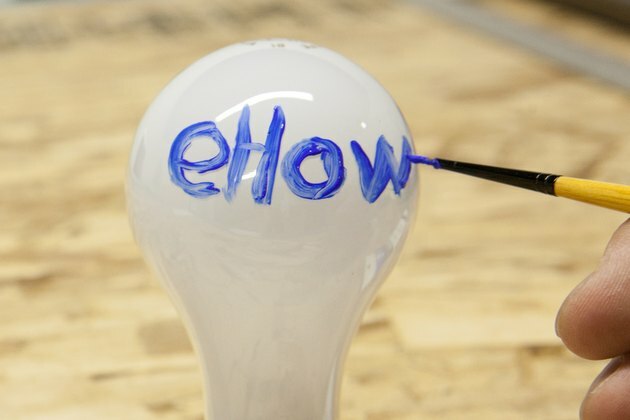 Use a brush to paint the bulb with a non water-based glass paint. 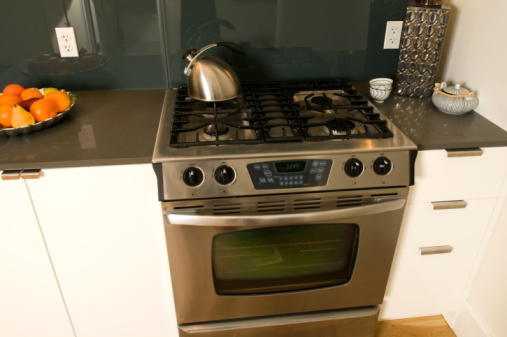 There are two different types of glass paint. One is a water-based paint, and the other is non-water based. Do not used a water-based paint because it will evaporate off the bulb. 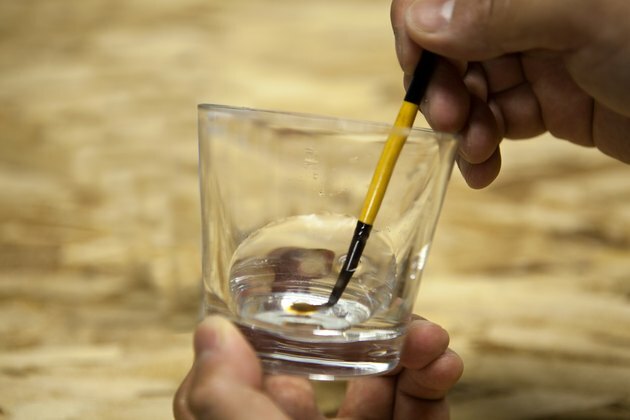 Clean the paint brush with white spirit. Allow the bulb to dry for four hours, or preferably overnight. Prepare the glass for painting. 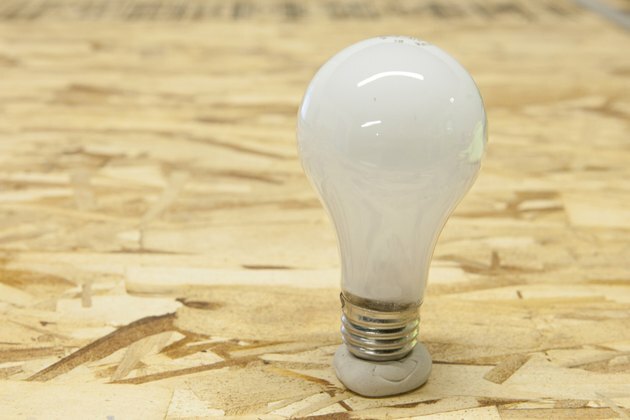 Remove any dust or grease from the surface of the bulb with a solvent such as white spirit. Place a lump of tack on a table. Secure the bulb by pushing its base into the tack. 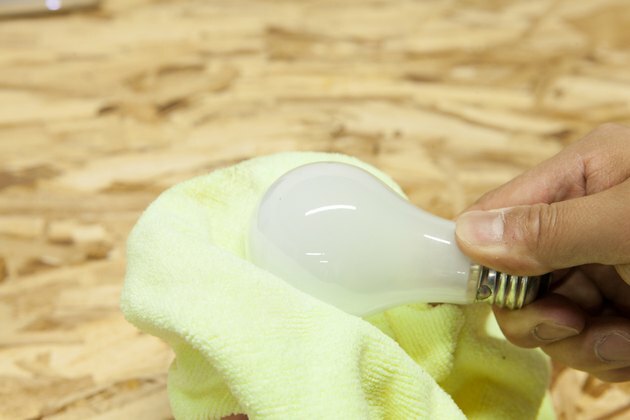 Wipe the bulb down with rubbing alcohol, or gently swipe around the bulb with a fine-grand sandpaper. 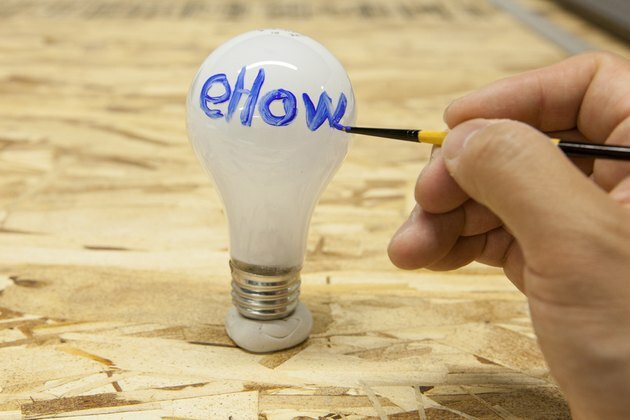 Both actions will help the paint adhere to the bulb. Let the bulb dry. Spray the bulb with a primer. This will also help the paint adhere to the bulb. Use a brush to paint the bulb with an acrylic paint. Decorate as desired. Apply a second coat if needed. Clean paint brush with white spirit. Allow bulb to dry completely for at least four hours.